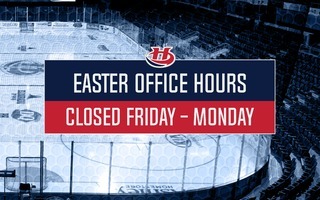 Lethbridge, AB – The Lethbridge Hurricanes travel to Medicine Hat tonight to face the Tigers in the first of a back-to-back, home-and-home set with their Highway 3 rival. The Hurricanes (4-4-0-2) are coming off a 6-3 victory over the Kootenay Ice on Tuesday. Jordy Bellerive scored twice in that game while Jadon Joseph, Jake Elmer, Taylor Ross and Logan Barlage had the others. 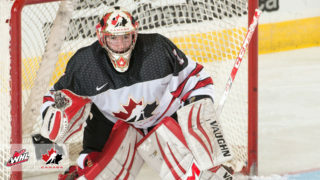 Reece Klassen bounced back making 30 saves in the victory. The win for the ‘Canes improved their home-ice record to 2-2-0-2 on the season. The Tigers (5-5-0-1) are also coming off a win over the Kootenay Ice last Saturday by a 4-3 score in a shootout. Hayden Ostir, James Hamblin and Ryan Chyzowski scored in regulation before Ryan Jevne scored the shootout winner in the sixth round. Medicine Hat enters on a two game winning streak. Tonight will be the third of ten meetings on the season between the ‘Canes and Tigers while this weekend will be the second of three home-and-home sets between the two. The teams have split the two prior meetings with the road team winning both contests. VS. TIGERS: Tonight will be the third of ten head-to-head meetings between the Hurricanes and the Tigers this season and the second of three home-and-home sets between the Highway 3 rivals. The ‘Canes and Tigers split the opening weekend pair with the road team winning both games. 10 Done: The ‘Canes have opened the 2018-2019 regular season with a 4-4-0-2 record after ten games. The ‘Canes have earned wins against the Medicine Hat Tigers, Kootenay Ice and two against the Regina Pats. After ten games last year, the ‘Canes were 5-5-0-0. Division Heavy: The ‘Canes are in a stretch where they will play nine of 12 games against Central Division oppositions. The ‘Canes will play the Edmonton Oil Kings and Calgary Hitmen each three times, the Medicine Hat Tigers twice and the Kootenay Ice once in that span. The ‘Canes are 2-2-0-0 against Central Division teams this season after going 19-11-2-0 last season. 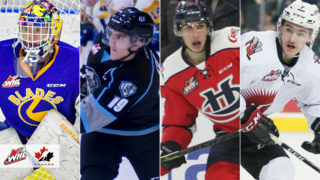 Team WHL: The WHL announced the roster for Team WHL for the 2018 CIBC Canada Russia Series and three Hurricanes will suit up. Jordy Bellerive, Calen Addison and Dylan Cozens will all take part in the event while ‘Canes head coach Brent Kisio will serve as an assistant coach for the team. 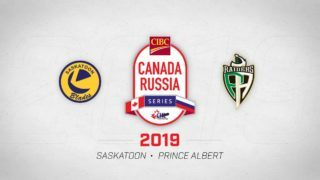 WHL will face Russia on November 5th and 6th in Kamloops and Vancouver. It’s the third straight season at least one Hurricanes player will be represented as Giorgio Estephan played in 2016 and Stuart Skinner played in 2017. 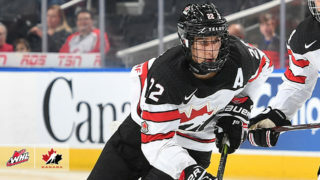 Central Scouting: The NHL Central Scouting announced their ‘Players to Watch’ List for the 2019 NHL Entry Draft and two Hurricanes were named. Dylan Cozens was named an ‘A’ ranked skater while Logan Barlage was a ‘C’ ranked skater. An ‘A’ ranked means a potential first round draft pick while a ‘C’ ranked means a four to sixth round pick. A total of 35 WHL players were ranked by Central Scouting. Home Cooking: The Hurricanes begin a stretch where they will play seven of their next nine games at the ENMAX Centre. The ‘Canes have posted an impressive 72-29-6-3 regular season record over the last four seasons. The ‘Canes are 2-2-0-2 so far this year.